The countdown to summer is almost over! It's time to get your summer reading organized so that your child retains all of the knowledge gained this past year. Reading regularly helps to keep your children on track for the next educational step! If not, your child runs the risk of losing up to three months of learning over the summer break!! Here are some great programs to keep your kids motivated and reading! Join the PBK summer reading challenge! Pottery Barn is offering a free book for every child under ten who completes an award winning bookmark list or an early reader bookmark list. Click on the link to download your bookmarks and check them off as you go! Read the books independently or visit your local store to find out about weekly story times. They will be sharing the books on the lists this summer. The gift must be redeemed by August 31st, 2012 and will only be available while supplies last, so get reading! There's even a progress tracker print out that allows your child to color a book for every one he reads! I love it! Join the Barnes and Noble summer reading program. Click on this link to download your very own Imagination's Destination reading journal. Read any of the eight books listed on an appropriate list for your reading level and write about whom you would recommend each book, and why. There are three separate lists for grades 1 & 2, grades 3 & 4, and grades 5 & 6. Once you have read your books and recorded them in your journal, head to your nearest Barnes and Noble store and choose a free book from their selection of books on the reading journal list. There are also various activities for the middle grade crowd on the website available for downloading, including the exploration of fiction and non-fiction and character identification. Head to www.bn.com/summerreading quick!!! Chuck E. Cheese has a reward program for you! Click on the link to download your reading rewards calendar for the summer and check out all the other calendars that you might need, as well. Once you have checked off two weeks of reading, head to your nearest participating Chuck E. Cheese restaurants and receive 10 free tokens with a food purchase. You are allowed one free token reward per child, per day, so download other calendars or more reading reward calendars and come back for more on another day! There are several other calendar reward charts including chores, potty training, homework, thumb sucking and cleaning! Join the Book It program, sponsored by Pizza Hut, for a chance to win a prize! Kids who read 5 books over the summer can enter for a chance to win a "Diary of a Wimpy Kid" prize package. Fill out the downloadable form and mail it to the provided address. This sweepstakes is for children in kindergarten through sixth grade and includes Wimpy Kid books, DVDs and a $20 visa gift card. Fifty people will win! Check out Sylvan's Summer Reading contest on bookadventure.com. Here, students may read books and then complete online quizzes based on the events of the story. Points are earned based on grade level of the individual completing the quiz. You'll need to log into bookadventure and click "join the contest" to be eligible to win various prizes including movie tickets to the upcoming Wimpy Kid movie, Dog Days of Summer, coming to theaters on August 3, 2012. Even if you do not choose to enter the contest, your child is welcome to join the site and participate in the completion of the online quizzes. This is a great way to monitor comprehension. Your child can earn points to win a number of prizes, including a 6 month subscription to Highlight magazine, various ebooks or free access to Quizhub website. What a great way to keep your children reading throughout the year!! TD Bank has a challenge for you! 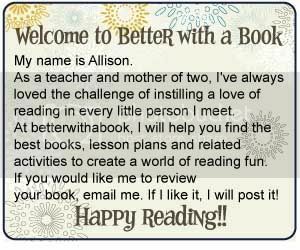 Click on this link and print out a form to write down the names of the books your child has read. When you have finished, bring the form to your nearest TD Bank. The bank will then deposit $10 into a new or existing young saver account. This is a one time offer, but a great deal! Awesomeness! :) My kids participate in the Book It! incentive. Heard about Pottery barn program and just haven't got around to stopping in. Thanks for sharing all the great info. :) Happy Reading to you and yours. Thank you! Happy summer reading to you too!! Don't miss a book idea or reading tip again! Here are the books on my shelf this month! Click on the book icons to receive more information or to purchase the book from Amazon.com. If you purchase the book through my site, I will receive a small portion of the purchase. Thanks! All Content © 2011-2012. To inquire about permission to repost or publish, please email the author. Design by Eliza Grace Design. Simple theme. Powered by Blogger.